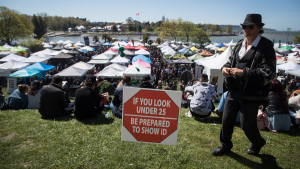 An analysis from Statistics Canada suggests the cost of cannabis has increased a bit in B.C., but much less than in other parts of Canada. The agency said Wednesday the unweighted average price per gram of dried cannabis is about $6.89 on the West Coast, post-legalization. The number was calculated based on prices from both legal and illegal sources. Canada-wide, the price is about $8. The Canadian average has increased more than 17 per cent since cannabis was legalized on Oct. 17, 2018. Those who buy from a legal source pay about $10 per gram, up about 56.8 per cent from the average illicit price of $6.37. Scroll down or tap here to view the provincial breakdown by increase post-legalization. StatsCan's analysis was based on submissions from 19,443 Canadians through its crowdsourcing application called StatsCannabis. While the price appears to be up everywhere, B.C. saw less of an increase than other provinces with respondents reporting they now pay 3.7 per cent more. Pre-legalization, cannabis users reported spending about $6.89 a gram, but once the new rules came into effect, the average price of those reported was $7.15. When looking at who pays the most for weed, the highest average is unsurprisingly up north. There was not enough data from Nunavut to estimate post-legalization pricing, but prior to the new laws, residents reported paying a whopping $15.24 per gram. 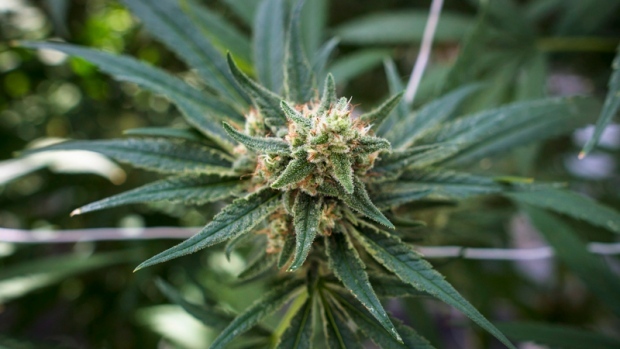 Residents of the Northwest Territories reported paying an average of $14.45 per gram. It's a price increase of about 14 per cent from what was reported pre-legalization. Cannabis users in the Yukon reported paying about $10.36 per gram – an increase of 15 per cent post legalization – while the cost is about $9.36 in Newfoundland and Labrador. Those living in Canada's extreme east saw a 21.8 per cent increase in pot prices since legalization. New Brunswick saw the steepest price increase prompted by legalization, with users in that province paying 30.5 per cent more in the last six months. The average price is estimated to be about $8.27. Nova Scotia pays a bit more at an average of $8.73. Prices in the Prairies vary by about $1. Manitoba pays an average of $9.14 per gram, according to StatsCan's data. Saskatchewan pays about $8.02, while Alberta pays $9.07. While B.C. saw the slightest increase, it's not the province paying the least for their pot. Quebec's average price is just $6.75 – but that average is an increase of nearly 16 per cent, StatsCan said. Most Maritime provinces paid at least a dollar more for their product than West Coasters pay for weed, but residents of P.E.I. payed only about 50 cents extra. That province also saw one of the slightest increases post-legalization at just 5 per cent.